Honor Award Certificate presented to the Chairperson of HOPE. Good deeds never remain unrewarded and hard work gives fruitful result, this is how NGOs like HOPE works. HOPE a health NGO in Pakistan is well known non profit organization which caters health and education in Pakistan. This organization is running under the leadership of Dr. Mubina Agboatwalla, the renowned child specialist in Karachi and the Chairperson of HOPE in Pakistan. She Has more than 50 research papers in indexed scientific journals and has carried out various research projects with different organizations including UNICEF, Center for Disease Control (CDC) Atlanta, WHO, Results for Development, etc. It is the result of her efforts that she has won several international awards and honors. 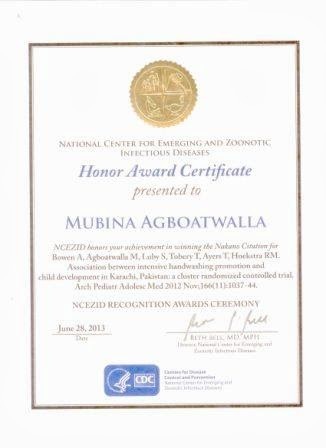 Recently Dr. Mubina Agboatwalla has been awarded Honor Award Certificate in winning the Nakano Citation for her achievement in the project associated between intense hand washing promotion and early childhood health development in Karachi, Pakistan. For this project by CDC, center of disease control Atlanta (USA), did a random cluster of sample of five hundred children, which was successfully completed. HOPE, NGO in Pakistan celebrated Independence Day by promoting a Human Rights Culture and spreading happiness among the patients at Sindh Government’s Hospital, Liaquatabad. 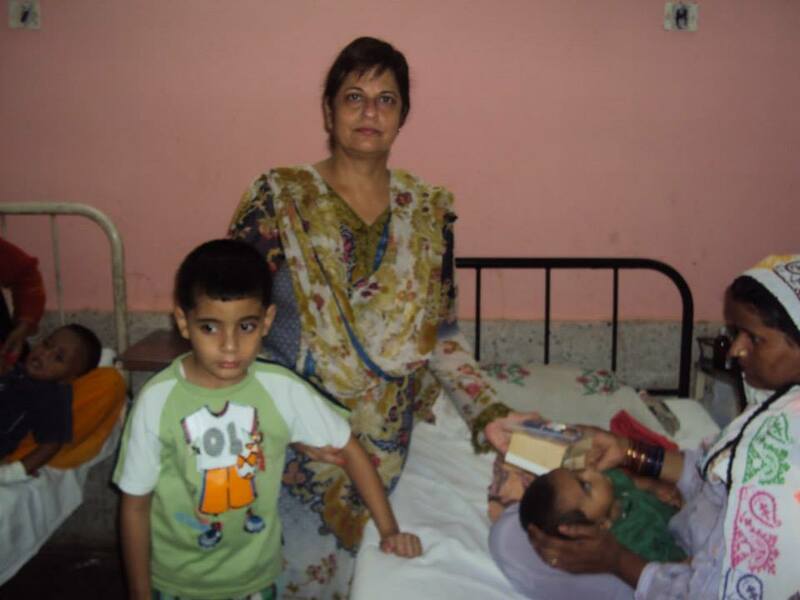 Dr. Mubina Agboatwalla – Chairperson of HOPE, distributed gifts among the children admitted in children’s ward. These gifts were sponsored by a pharmaceutical company. The children and their mothers ecstatically received the gifts and one could easily see bliss in their eyes. HOPE has always tried to bring hope and happiness in the miserable lives of the people in need by remembering them on every occasion and festival.